A number of celebrities attending the 69th annual Primetime Emmy Awards wore ribbons to express support for the American Civil Liberties Union (ACLU), which has fought vigorously against President Donald Trump’s immigration agenda. 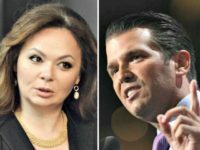 CNN’s morning show New Day spent 93 percent of their airtime discussing a meeting between Donald Trump Jr. and a Russian lawyer, a report from the Media Research Center’s news analysis division has revealed. 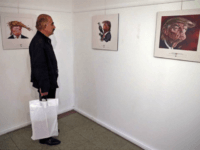 Hundreds of cartoonists convened in Iran this week to compete in a Donald Trump cartoon contest, replacing the yearly Holocaust denial competition held by the same organizers. 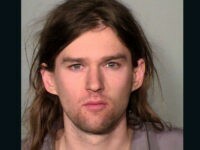 Linwood Michael Kaine, a son of former 2016 Democratic vice presidential candidate Tim Kaine, faces criminal charges for allegedly joining in an anti-Trump riot to attack supporters of President Donald Trump in March in Minneapolis, Minnesota. During yesterday’s Senate Judiciary subcommittee hearing, James Clapper, former director of national intelligence, put the kibosh on a major anti-Donald Trump talking point that 17 federal intelligence agencies have concluded that Russia interfered in the 2016 presidential election.